The more fundamental question in economics is whether inventions have any economic impact. There is no role for inventions in classical economics, which focuses mainly on disruptions in supply and demand. Marxist believe that all economic value is a measure of physical labor, so there is no room in the Marxist tent for inventions either. Despite this modern economics has grudgingly admitted that inventions are key factor in economic growth. However, they are torn on whether inventions (advances in technology) are endogenous or exogenous. 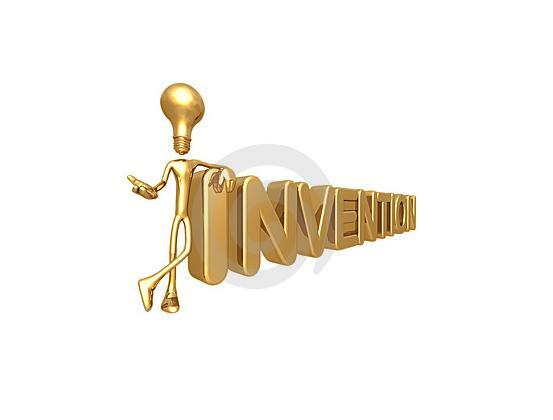 The exogenous camp believes that inventions occur separate from any incentives or spending on inventions. Economists that fall into the exogenous camp clearly do not see any reason for a patent system, since they believe that inventions occur separate from any market forces. The first widely acknowledged chink in the Marxist and Classical economics armor against inventions was Joseph Schumpeter who argued that creative destruction, caused by innovation, is the key to economic growth. The hero in Schumpeter’s world was the entrepreneur not the inventor. Despite this Schumpeter also was a determinist who believed in “natural” cycles and believed in the exogenous theory of inventions. The next step in the economic analysis of invention was by Robert Solow. Dr Solow published a paper in 1956 on economic growth that stated that four fifths of US worker output was due to technological progress (inventions). Robert Solow would go on to win the Nobel Prize in Economics for this point. However, Solow believed that technological progress was exogenous and therefore occurred separate from economic incentives to invent. As a result, he argued that all countries would converge in their economic growth rates and their level of technology. There has been no evidence for Solow exogenous theory of growth. The growth and level of technology, inventions, and economic growth of countries has not converged as Solow predicted. It is not surprising that Solow, in the exogenous camp, is a fan of the anti-patent book Against Intellectual Monopoly, by Michele Boldrin & David K. Levine. The next big advance in the analysis of inventions and economic progress was the book Invention and Economic Growth by Jacob Schmookler in 1966. 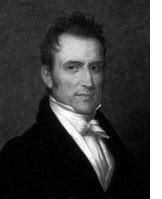 Schmookler undertook the most systematic analysis of invention of any economist. He analyzes the issue of whether invention is exogenous, as argued by Solow, or endogenous. He clearly shows that invention is mainly endogenous. Schmookler does not directly address the question of the utility of a patent system in encouraging inventions. However, he hints that attacks on the patent system in the 1930s and 40s was the cause for the decline in the number of patents issued to US inventors during this time. In general, most economists in this area now acknowledge that invention is endogenous – subject to market forces. If you accept that the invention process is endogenous, then the next question is whether patents encourage invention – are patents relevant? One of the leading economists in the area endogenous growth is Paul Romer. Romer thinks that the creation of inventions (he would call them recipes) are clearly subject to resource limitation. He points out that researchers and laboratory equipment are not free and therefore we need a system to encourage people to invest in new inventions. However, he believes that once an invention is created it cost virtually nothing to disseminate. The example he uses is oral rehydration therapy. While there are a small number of examples of inventions that are so simple and so easy to understand they can be disseminated at virtually no cost, most new inventions and technology do not fit into this category. For instance, calculus is a very useful branch of mathematics and it has been known for centuries and yet most of us who learned calculus paid someone to teach us. There were no intellectual property laws requiring us to pay a teacher to learn calculus, so if inventions (recipes) can be spread at no cost why did we undertake the irrational step of paying someone to learn calculus. If technological can be disseminated at no cost then there is no reason for professors, doctors, lawyers, engineers, and especially marketers and sale people. Romer is ambivalent about patents. However, his ambivalence is based on the false assumption that technology dissemination is free. after millennia of per capita income being stagnant it takes off around 1800 in the West. He provides an interesting answer. The first part of his answer is that rate of technological progress increased at the beginning of the industrial revolution. The second part of the answer is why the rate of technological progress suddenly increased. 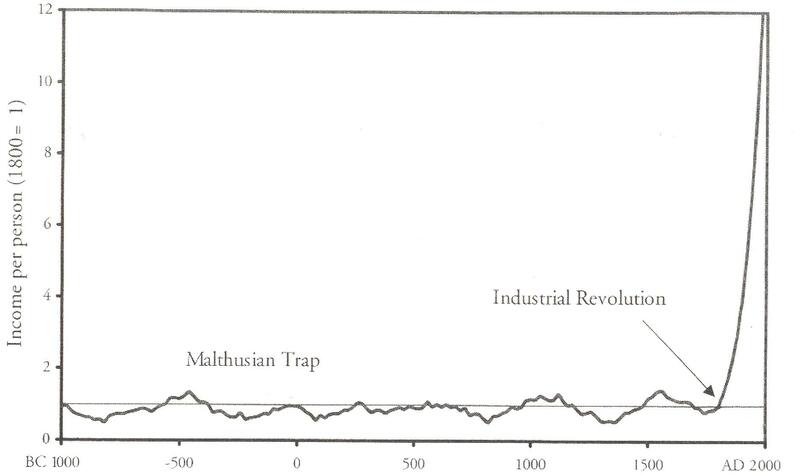 He suggests that the industrial revolution takes of in Britain because of environmentally induced evolution. Specifically, he suggests that the downwardly mobile society of Britain resulted in thrift and hard work being genetically selected in Britain. These traits resulted in the industrial revolution taking off in Britain. Clark appears to be part of the exogenous camp. 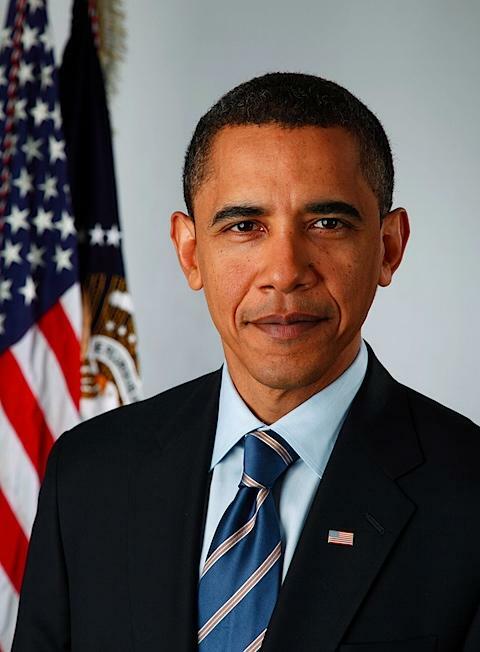 As a result, he does not think that patents are important in encouraging advances in technology or economic progress. B Zorina Khan is another economist who has studied this issue. She is author of the book, The Democratization of Invention: Patents and Copyrights in American Economic Development, 1790-1920. She provides extensive evidence that the US patent system and economic forces affect both the level and direction of invention. She shows that the US created the first modern patent system and the patent system provides the major incentive that causes the US to grow from an agrarian economy to a world economic and technology power in 70 years. 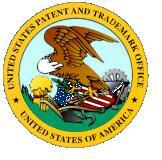 The economic literature on patents is littered with misunderstandings of the basic rules of the US patent system. For instance, many economists do not understand that the patent system is designed to spread information. In the US we did this by setting up patent depository libraries, so that all people could take advantage of the knowledge associated with an invention. You will read many economists that believe patents inhibit the spread of information. This is clearly incorrect. They do inhibit practicing of the invention without the payment of a royalty, but the underlying information is free for all people to learn from. Economists are also generally ignorant of the history of patents. They do not realize that patents are designed to encourage people to disclose the information associated with their invention. The alternative to patents is trade secrets and no government can force people to disclose their trade secrets. Before patents people protected their economically important inventions by keeping them a secret. This limits the area’s where people will invest in new technologies to those that can be kept a trade secret. It also means that the public does not benefit from the knowledge of the invention. Most economists do not understand the unintended consequences of their anti-patent position. Economists generally want to model patents as a government granted monopoly instead of a property right. This is logically incorrect. In economics, a government-granted monopoly (also called a “de jure monopoly”) is a form of coercive monopoly by which a government grants exclusive privilege to a private individual or firm to be the sole provider of a good or service. Since a patent does not even provide the holder the right to sell or practice their invention, it clearly does not grant an exclusive privilege to a firm to be the sole provider of a good or service. Most economists do not understand this basic principle of patent law – a patent does not give the holder the right to produce or sell their invention. It is straightforward economic analysis that investing in new technologies is an economic disadvantage for a company if there is no intellectual property protection. The company’s research and marketing costs in creating a new product and new market clearly increase its cost of doing business over its competitors who do not spend money on new product development. Their competitors just copy the new product and sell it into the markets the inventor created. The inability of economists to grasp this simple point is mind boggling. The only explanation I can come up with is that most of the economists who write about patents have not worked in the technology start-up market. If they had, they would know that incredible additional expenses incurred not only in creating a new product, but in marketing and selling a new product. This is particularly true the more unique the product. It is always easier to sell a me-too product, since you do not have to explain how it works and why someone would want it. This is why invention in most large companies is limited to line extensions. Economists cannot provide meaningful input or commentary on the patent system unless they actually understand the patent process, the rights obtained with a patent, and the basic history of patent systems. Ms. Khan and Pat Choate are some of the few economists who have a strong understanding of the patent system. Unfortunately, Khan does not differentiate that patents are property rights, not a monopoly. However Adam Smith did mention inventions as one of three ways to increase the wealth of a nation. “some addition and improvement to those machines and instruments which facilitate and abridge labor”, Smith, Adam, An Inquiry into the Nature and Causes of the Wealth of Nations, Edited by Edwin Cannan, New York, Modern Library, pp. 373-374. The U.S. Patent and Trademark Office (USPTO) may be the single greatest facilitator of private sector job creation and economic growth in America. It is this agency, after all, that issues the patents that small businesses — especially technology startups — need to attract venture capital investment, develop new products and services, and serve their historic role as the primary source of almost all new net job growth in America. According to one recent study, 76 percent of startup executives say that patents are essential to their funding efforts. David Kline is an expert in this area. He is author of ground breaking book, Rembrandts in the Attic , on patents in business. He is also author of Burning the Ships that explores how Microsoft used patents to transform their business. According to the authors, “The costs of the forgone innovation resulting from patent delays in the many billions of dollars annually.” I think they are underestimating the cost of patent delays.